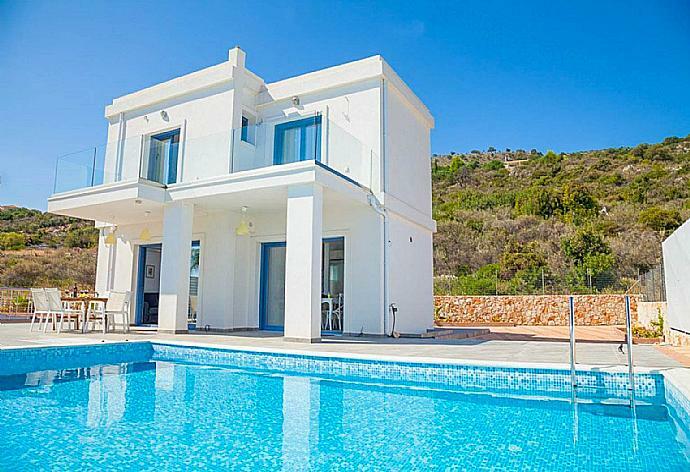 The villa is built over 3 floors with a beautiful and sunny pool terrace at the front: The ground floor (pool level) offers a spacious and airy living room with a sofa and kitchen/dining area. Upstairs there are 2 bedrooms - 1 double master bedroom and 1 double bedroom both offering breathtaking views to the sea. The master bedroom has en suite bathroom and there is a separate bathroom on this level. Internal stairs lead down to the lower ground level where the third bedroom sleeps 3 persons with en suite bathroom. This room also has a separate entrance with steps leading up to the pool level. Bedroom 3 has a double bed and a single bed. En suite bathroom. Very good villa, taxis required to get in to town at 6 euros (not a big deal) area is nice but not much to do but that is not abad thing depending on what you want from your holiday. Transfer is an hour, along very windy roads. But all in all a great place to get away and relax. Overall we had a lovely time and the villa was great. Great week had by my wife and I. The Villa Seashell is in a great position with good sea views the staff were great any issues resolved quickly. 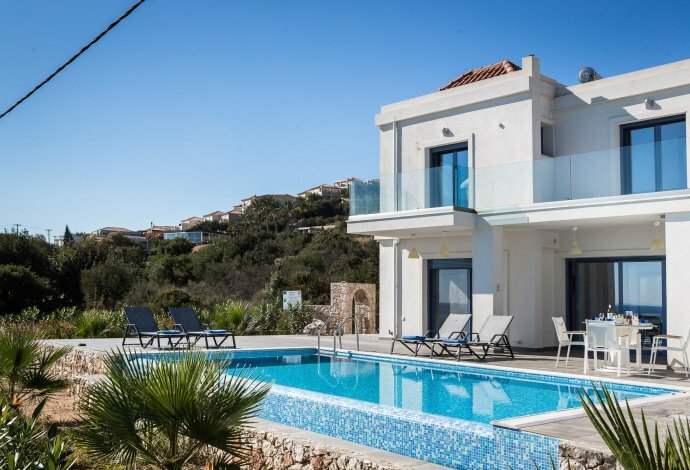 Seashell is a lovely new villa right by the seaside in Skala. There were 7 of us at the villa which worked OK as one of the rooms is a triple. Each bedroom had its own bathroom and the views from the upstairs bedrooms were great. There are no views really from the downstairs bedroom. From the pool you can see the sea and over to the island of Zakynthos. The cleaner was very friendly. 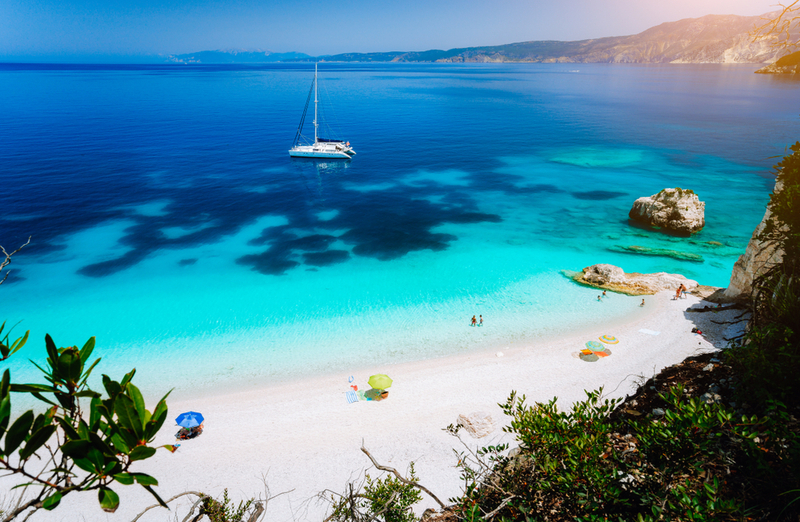 Its very easy to find everything you want in Skala. Just go out of the villa and turn left or right! We had a 7-seater and went all over the island which is very very beautiful. We all went on a boat trip with Captain Vangelis one day which was probably the highlight of the holiday. this was a great little villa. neighbours were also very pleasant so i would think that helped with the stay. beautiful decor inside and although had neighbours felt privacy when needed. 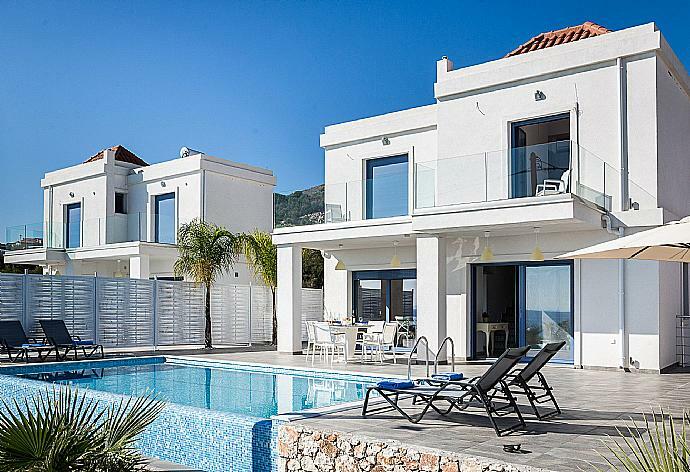 well equipped and all round great villa.